People get married for lots of reasons. However, the most important should be for love. In most cases it is! Couples decide to marry in the first place because they have so much fun with each other and it makes them want to create something better. They consider their partner a true friend that will make them smile and without whose company they simply cannot live. The wedding day is one of the most important days of a couple’s life. It is a day of happiness, a day to demonstrate the depth of their love and how committed they are to each other. The happy couple will invite their entire families, not just parents, brothers and sisters, but also distant cousins and work colleagues. This takes some planning and can be stressful even with the best wedding planner. There are so many things to think of such as arranging the seating chart, creating the menu, coming up with a dress code, and designing the wedding cake. Couples would also like to control the weather. Fortunately, that’s not a big problem in Los Cabos. The weather here is sunny most all year long. The photograph that will last an eternity depends on a moment where the couple will smile a smile that will be remembered over time. 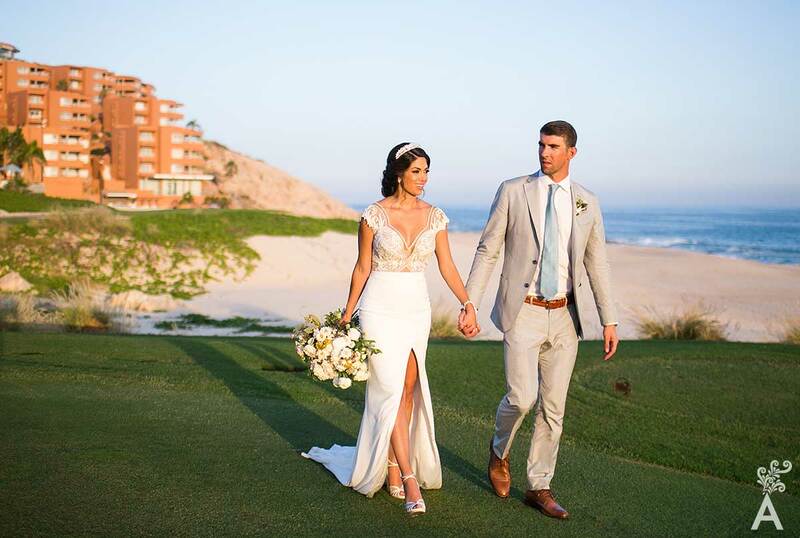 That’s exactly why Los Cabos has been selected as the perfect place to get married by many celebrities, including actors, singers, athletes and rock stars. 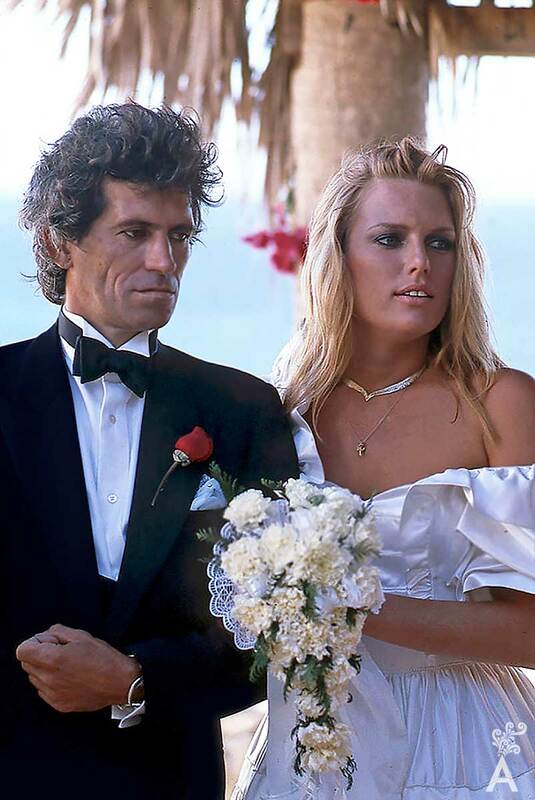 On December 18th, 1983, the legendary Rolling Stones guitarist married model and actress Patti Hansen at the Hotel Finisterra, Cabo San Lucas. Family and friends attended and Mick Jagger was, of course, the best man. 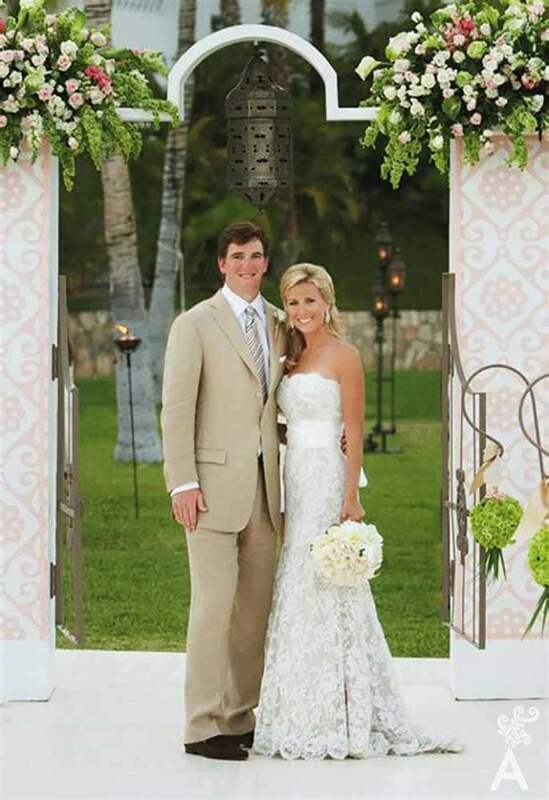 Quarterback Eli Manning married his college sweetheart Abby McGrew in a beachfront wedding on April 19th, 2008. 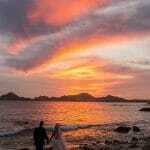 Sixty guests joined the intimate ceremony at the One&Only Palmilla Hotel overlooking the Sea of Cortez. The lead singer of Maroon 5 and Victoria Secret model Behati Prinsloo married at Flora Farms in San Jose del Cabo on July 19th, 2014. More than 300 guests were there for the happy couple’s special day, and I’m sure the organic menu of Flora Farms impressed everyone. Not wanting to leave anything to chance, the couple held a rehearsal dinner beach party on the Friday before the wedding at El Dorado Golf & Beach Club. Glee actress Naya Rivera married the actor Ryan Dorsey on July 19th, 2014 in a private ceremony in Cabo San Lucas. The July 19th date was especially important to Ryan because it is also his birthday. The happy couple invited only 12 close family members and kept the entire affair a secret from the media until after the wedding. Olympic swimmer Michael Phelps married his long time girlfriend Nicole Johnson in October 2016 at El Dorado Golf and Beach Club in Los Cabos. Guests were greeted with live Mariachi music, a taco bar, shots of tequila and a bottle of Corona beer. 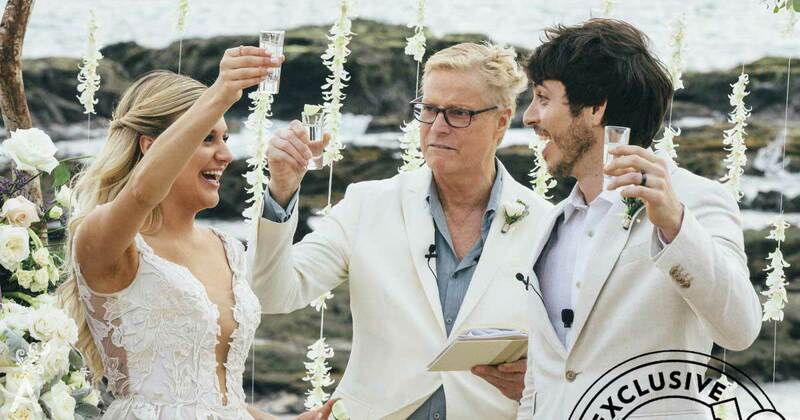 So, out of the hundreds of happy couples who tie the knot in Los Cabos every year, a few famous people also discover the joy of a Big Fat Mexican Wedding. I hope all these people remember they married their partner not just for love, but because that person is the person they have the most fun with and, with a little luck, will continue to have fun with each other for decades. Like Keith and Patti.